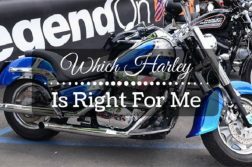 To find the right jack for your bike, you need to read some of the best motorcycle jack reviews. By so doing, you will be better able to discern the differences between the various brands on the market. 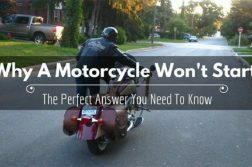 Whether you own a dirt bike or a conventional motorcycle, you can be sure that there are things you need to do to ensure that your little speedster works well at all times. 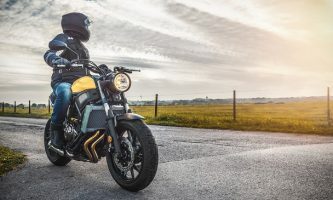 This is one of the facts that every rider has to contend with – that all bikes require maintenance if they are to continue serving you both in the long and in the short term. The one tool that you must have, to this end, in your garage is a motorcycle jack. 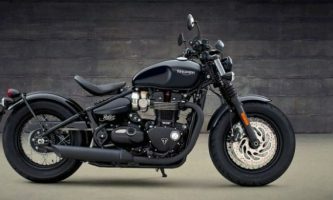 With it, you will be able to lift up your bike and check it for any mechanical problems whenever you get a hunch that it isn’t working quite as well as it should. 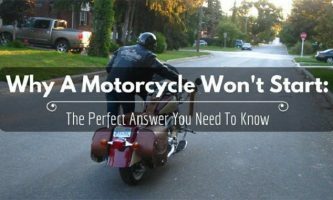 In this guide, we will help you find the best motorcycle jack for your bike. Further, you will understand why you need such a tool in your garage, how to choose one, and the features to look out for. Otherwise referred to as lifts, jacks are useful for storing, maintaining, and servicing bikes. With them, you will be able to raise your bike to a higher level – making it easier for you to work on the machine. Some lifts even have wheels that you can easily use to jack up your motorcycle and move it around as you wish. Luckily, the best motorcycle jacks are not brand specific. This means that you can use them on any bike irrespective of the make. Further, jacks are hardly ever style-specific. To this end, you should be able to use one jack on different types and makes of motorbikes. 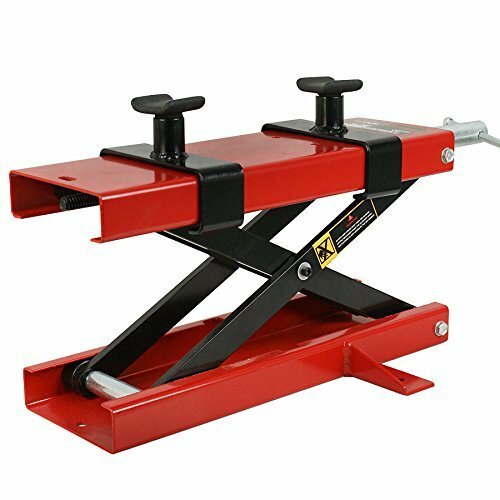 The best bike jacks will also come with manufacturer’s warranty to provide you with the assurance that you are getting a high-quality product and that the manufacturer will deal with any arising issues. The first step would be to decide whether you need a hydraulic lift. 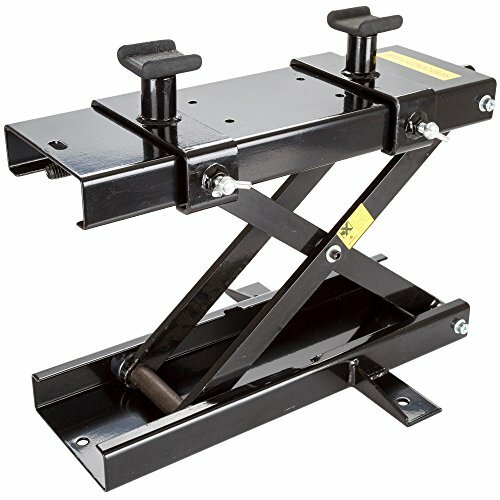 Although these jacks tend to be priced higher, they are also much easier to work with. Further, they tend to come with higher maximum weight allowance. 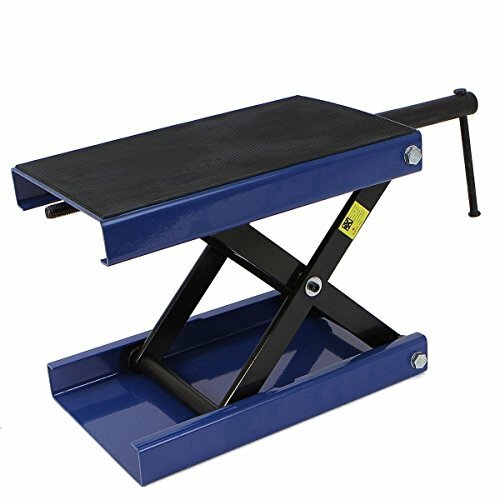 If you will be lifting your bike on the regular and don’t want to always get on the ground, then you ought to invest in a hydraulic lift. The best motorcycle jack should have some saddles or rubber pudding on top. Most cheap lifts come without any padding – meaning that they are highly likely to ruin the bottom of your bike. Using such a lift also places your bike at risk of slipping right off and falling. In the same way, you might want to check the material used to make your bike. If it is made of aluminum (instead of steel), then the best thing to do would be to pass it on. After all, it doesn’t make sense to invest in a jack that keeps breaking down. So, there you have it – a guide to the best motorcycle jacks on the market today. All of these products are unique in one way or the other. However, they are similar in the sense that you will find them reliable, dependable, and durable over the long haul. 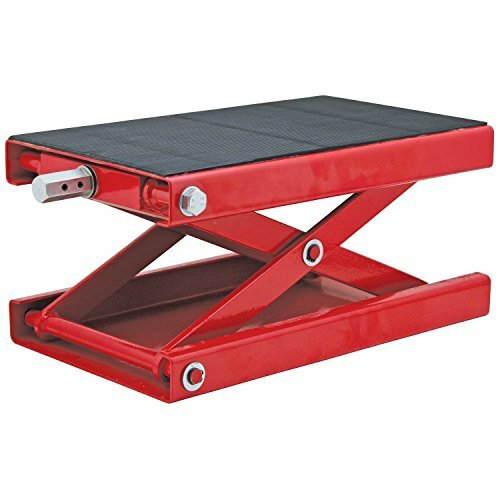 Among all of them, however, the Zeny 1100 LB Motorcycle Center Scissor Lift Jack Hoist Stand Bikes ATVs (#01) is our preferred option. 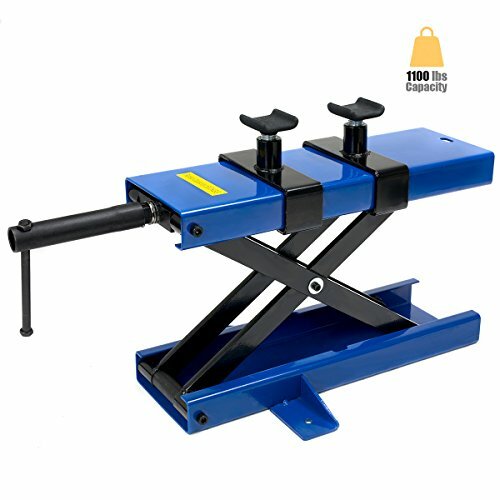 Although it is relatively highly priced, this jack should work well for you. 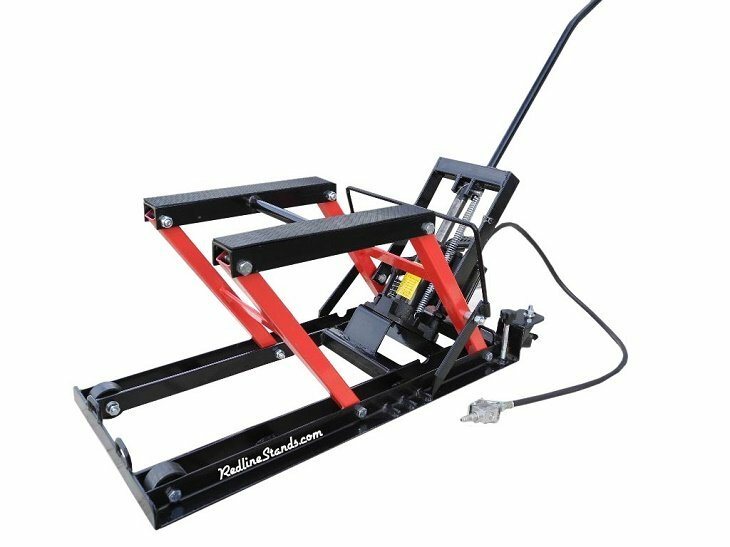 Ranked among the most popular of all lifts by most riders, this jack will serve as the perfect addition to your garage, workshop, or carport. 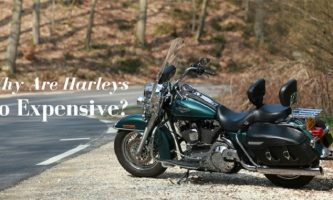 Over and above everything, we hope this guide will help you choose the right jack for your motorbike. 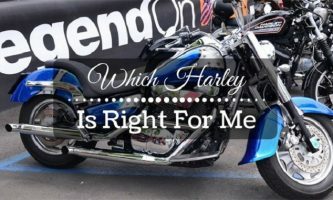 With so many options touting themselves the best motorcycle jack, finding the perfect piece of equipment might be hard. However, the information above will make it easier for you to discern between what’s good and what isn’t. 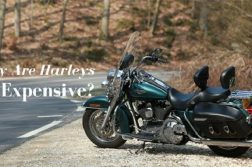 In the process, you will be able to make an informed decision the next time you go shopping for a jack for your motorbike.